—	A preliminary University at Buffalo study of 252 volunteers has found an association between CCSVI and as many as three characteristics widely viewed as possible or confirmed MS risk factors. They are: infectious mononucleosis, irritable bowel syndrome and smoking. —	The UB researchers conclude that the association of CCSVI risk factors with MS risk factors in subjects without known central nervous system disease is significant and warrants further study. BUFFALO, N.Y. — The first study to investigate risk factors for the vascular condition called CCSVI (chronic cerebrospinal venous insufficiency) in volunteers without neurological disease has identified what the researchers call a remarkable similarity between this condition and possible or confirmed risk factors for multiple sclerosis (MS). The University at Buffalo study investigated associations between CCSVI and demographic, clinical and environmental risk factors in a large control group of volunteers who did not have known central nervous system disease. “Our results suggest that risk factors for CCSVI in this group of volunteers are remarkably similar to those of possible or confirmed importance to MS, but we do not yet understand the whole story,” says Robert Zivadinov, MD, PhD, FAAN, professor of neurology at the UB School of Medicine and Biomedical Sciences, and senior author on the study. He discusses the study’s results in the video at http://www.youtube.com/watch?v=Vip7QAtlfqE. Published today (Nov. 30) in PLoS One, the current study of 252 volunteers “was designed to help provide scientists and the MS patient community with new information that, combined with the results of studies that are still ongoing at UB, will ultimately help explain CCSVI and its relationship to MS,” according to Kresimir Dolic, a lead author on the study. Dolic, a radiologist from the Department of Radiology, University Hospital, Split, Croatia, was a visiting fellow at the Buffalo Neuroimaging Analysis Center, part of UB’s Department of Neurology, where the study was conducted. CCSVI refers to impaired blood flow from the central nervous system to the periphery. 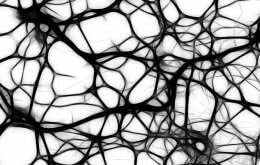 It has been hypothesized that this narrowing of veins restricts blood flow from the brain, altering brain drainage, and may contribute to brain tissue injury that is associated with MS. Yet, while CCSVI has generated intense interest among MS patients worldwide, and while independent scientific studies, including one of the largest to date being conducted by Zivadinov and UB colleagues, have suggested an association with MS, none have found conclusively that the condition is associated with MS.
For this reason, the UB team decided that it was critical to proceed with this prospective study to determine the risk factors for CCSVI in individuals without neurological disease. The study found that CCSVI risk factors occurred more frequently in 1) those with a history of mononucleosis, i.e. infected with Epstein-Barr virus; 2) those with irritable bowel syndrome; 3) those who smoke or have a history of smoking. “All three are confirmed risk factors for MS,” said Bianca Weinstock-Guttman, MD, second author on the study and professor of neurology at UB. According to the results, individuals with CCSVI were 2.7 times more likely than individuals without CCSVI to have infectious mononucleosis, 3.9 times more likely to have irritable bowel syndrome and 1.98 times more likely to have a history of smoking. “Our finding that a risk factor that is highly significant for MS Â– Epstein-Barr virus, indicated by a history of infectious mononucleosis Â– is strongly associated with CCSVI, is important,” says Zivadinov. “This is the first time a connection has been found between Epstein-Barr virus and CCSVI. In addition, individuals with heart disease — which is not a known MS risk factor — were 2.7 times more likely to have CCSVI, and those with heart murmurs, in particular, were 4.9 times more likely to have CCSVI. Zivadinov added that the study’s finding of a weak, protective effect from the use of dietary supplements was also noted and has to be further explored. The UB team cautions that the study was preliminary and that these findings must be expanded upon and confirmed in further studies. The volunteer subjects were all part of the prospective Combined Transcranial and Extracranial Venous Doppler Evaluation study at UB. They were either independent individuals, or spouses or relatives of MS patients. The controls were purposely selected from different sources of recruitment, Zivadinov explains. All volunteers were screened for medical histories and underwent physical exams and Doppler sonography examinations of the neck; they also responded to an extensive environmental questionnaire. Individuals were considered to have CCSVI if they had at least two positive venous hemodynamic criteria on Doppler sonography. Additional co-authors on the paper are Karen Marr, Vesela Valnarov, Ellen Carl, Jesper Hagemeier, Christina Brooks and Colleen Kilanowski all of UB’s Buffalo Neuroimaging Analysis Center; Bianca Weinstock-Guttman, MD, UB professor of neurology; David Hojnacki of the Jacobs Neurological Institute of UB and Kaleida Health and Murali Ramanathan, PhD, professor of pharmaceutical science at the UB School of Pharmacy and Pharmaceutical Sciences. The research was funded by the Buffalo Neuroimaging Analysis Center, Baird MS Center and the Jacobs Neurological Institute, all of UB, as well as the Direct MS Foundation and the Jacquemin Family Foundation.